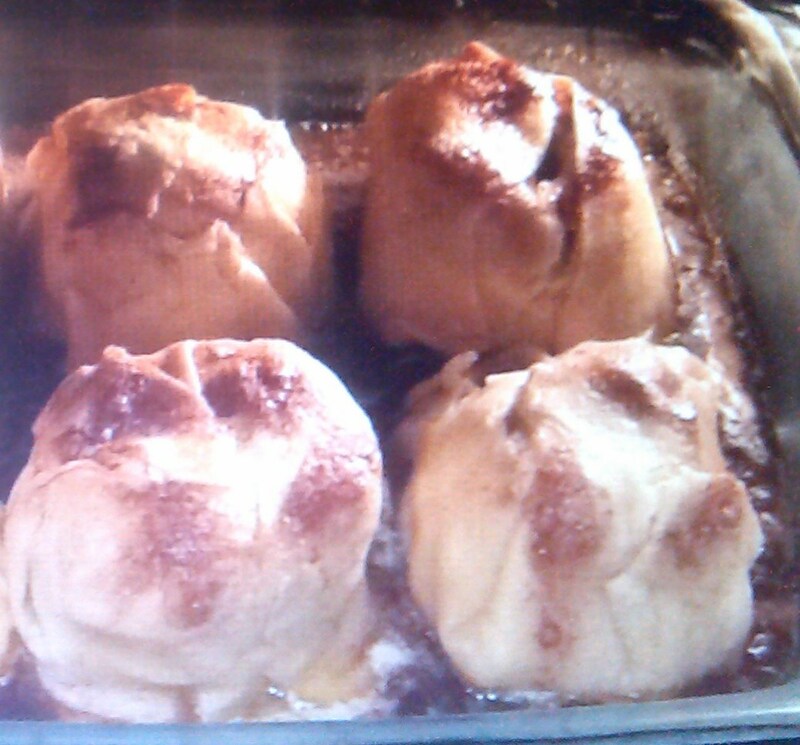 My Mama makes the best APPLE DUMPLINGS in the world! This is my opinion & it’s undisputed. Nobody can change my mind tho many have tried. Nope….won’t happen; can’t be done….hers are best! No room for discussion! Yes, I am a very good cook too, and, yes, I probably COULD prepare them just about the same as Mama does (I’ve watched and assisted numerous times since I was a young girl) but that just wouldn’t be the same, now would it??? This time of year brings the falling leaves in the top half and middle of our country. Friends and kin like to ask me the same thing every year at this time, and that is whether or not I’m missing the changing of the seasons and the beautiful, splendid, colorful, and ever-changing scenery. I always emphatically answer a resounding “NO”! I don’t like the cold in any way, shape, or form! As for the spectacular changing colors….viewing their lovely photos on social media is plenty enough for me. I do NOT need to be there physically in order to admire my Lord’s awesome handiwork. Autumn DOES bring ‘apple harvest’ tho, which means APPLE DUMPLINGS, apple pies, apple cider, homemade applesauce and/or apple butter in the crockpots, and caramel or candied apples; and also bobbing-for-apples at get-togethers! I grew up in northern Indiana where there were always plenty of apples to pick. The school kids would be taken by the busloads to a particular apple orchard for a special day of being educated about the apple harvest, and would then be treated to apple recipes to try and bring home, as well as having fun and games before being taken back to school. I remember chaperoning when my youngest son’s class took this ‘field trip’ and enjoyed an amazing day with his classmates. My biggest surprise of that day was the gigantic jar of Apple Blossom Honey that I bought. It was the tastiest honey that I have EVER had in my entire life! Just the thought of it makes me want some RIGHT NOW! But I’m not willing to drive all the way to Indiana just for honey! Florida’s Orange Blossom Honey comes in 2nd place, so I settle for that. Now, at this time I will add a tiny note to mention that the Cracker Barrel restaurant does indeed offer a rather yummy dessert that they TRY to pass off as an Apple Dumpling, however it is actually more of an Apple Cobbler or some kind of an Apple Dessert Casserole. Anybody that knows me will attest that I’ll use every excuse to dine at Cracker Barrel because I feel that their ‘Southern cooking’ reminds me the most of my own Gramma’s cooking. Biscuits and gravy for breakfast OR fried catfish with turnip greens and dumplins are my ‘go-to’ meals that I could enjoy every week, much to my children’s dismay (since they are the ones that take me)! IF I’m lucky….or perhaps it’s ‘if my daughter is feeling sorry for me’….I’ll get her to share one of those big desserts with me. It’s delicious for sure, but usually just tends to create a hunger for Mama’s APPLE DUMPLINGS even more! Late September of last year we drove to Indianapolis to attend my beautiful niece’s perfect wedding. (believe me, my love for her is one of the very few reasons that I’ll return to that cold climate!) We stayed a couple of days with my Mama and I didn’t even realize until a few months later that I’d totally forgotten to ask her to bake some APPLE DUMPLINGS for me! When I called and mentioned it to her, she got a kick outa that….HA! I’m getting sooooo forgetful that I’m having trouble remembering things, even requests of my fave desserts that ONLY MAMA can make just the way I like it! But AHA! Next spring at the end of April I certainly hope that I remember to ask for them when I go to visit Mama for her 80th Birthday Celebration! I realize that apples will be out of season and I know that it’ll be her birthday but I still want my treat!!! And only Mama can make it for me….and that’s just the way it is! This time I’m getting my APPLE DUMPLINGS!